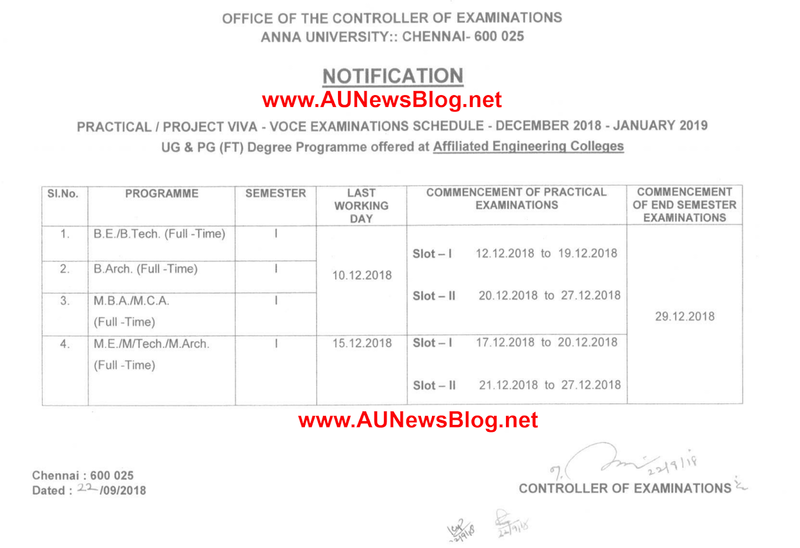 Anna University published full complete practical exam schedule for Nov Dec 2018 & Jan 2019 exams. 1st Semester has a different schedule check below images. 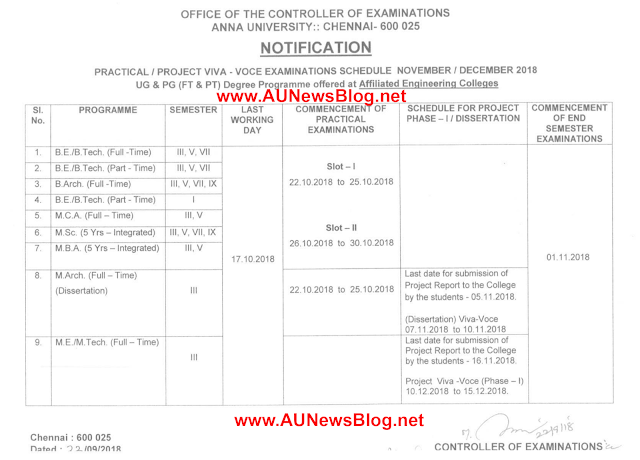 Semester exam end date also announced in this schedule refer below screenshot.